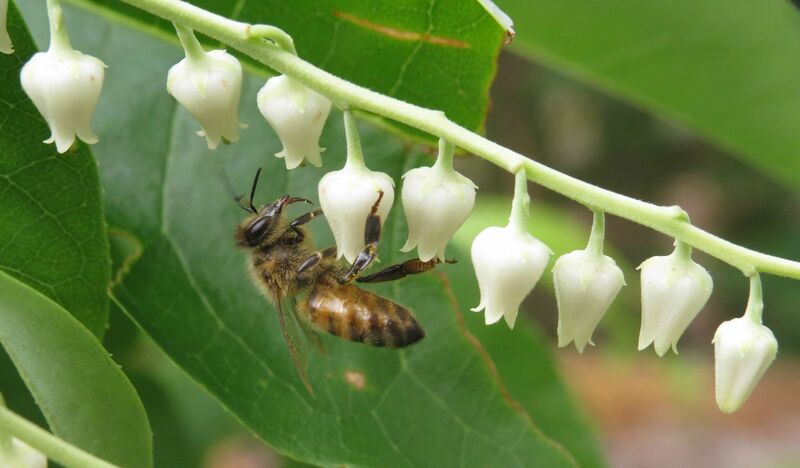 When I first started gardening my initial goal was to provide nectar sources for my honeybees. Early attempts were an abysmal failure as I relied upon plants that simply looked pretty from a local nursery. The issue of course being that most nurseries sell cultivars with looking pretty in mind, instead of plants that are pretty useful. They do sell some useful plants but not as many as they should. 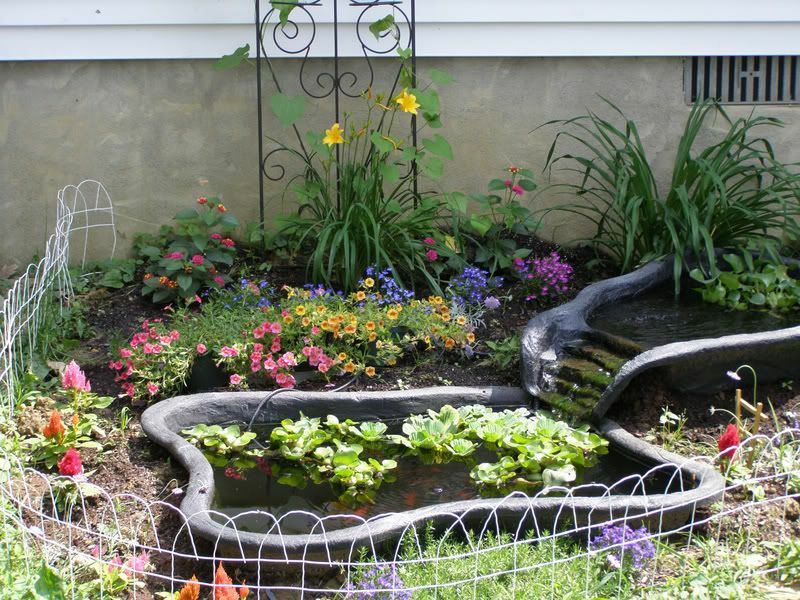 Realizing I would have to do some research, I started to set goals of what I wanted to get out of the garden. 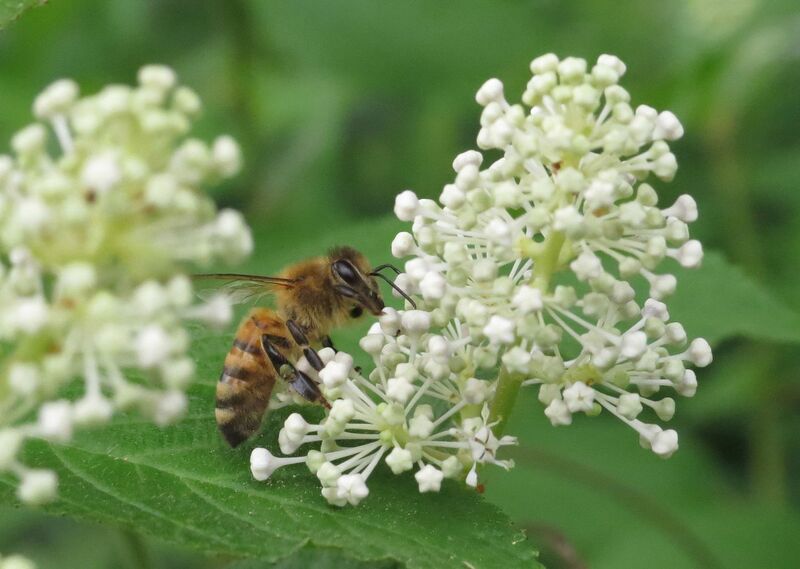 Along the way my focus changed from simply providing nectar fro my bees towards seeing what ecological effects my garden could have. I wanted to see how much biodiversity I could fit into one acre of land. Nothing was measured scientifically (I'd likely need at least 30 yards to make any conclusions,) but my achievements are as follows. Probably the simplest achievement with gardening came in the form of a simple pack of sunflower seeds. They're the favorite food of the Eastern Goldfinch (The state bird of NJ) and their beaks are actually the ideal size and shape to dislodge a sunflower seed from the flower disk. 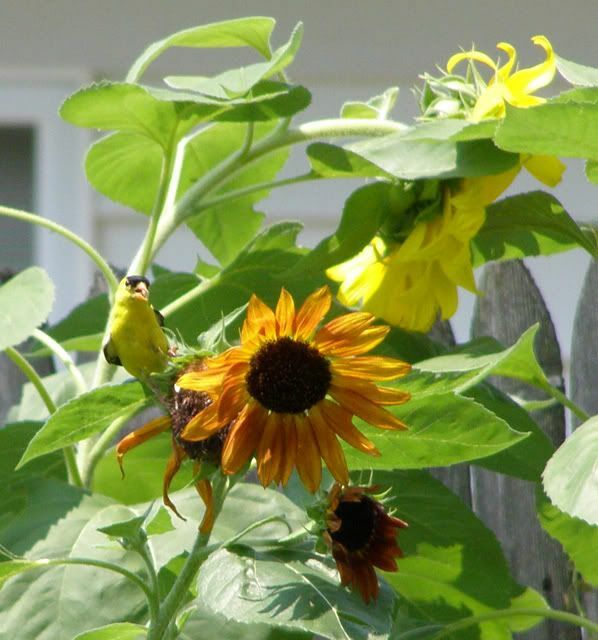 Planting $5 worth of seeds not only brings in the pollinators but also a very attractive bird as well. The next major milestone for my garden really had all the stars aligning perfectly. I met a fellow beekeeper who was really into native plant gardening but also advocated nonnatives like Catmint and Salvia. One of the plants that really caught my eye was his clump of Butterfly Weed which he grew along side an impressive clump of Lavender. 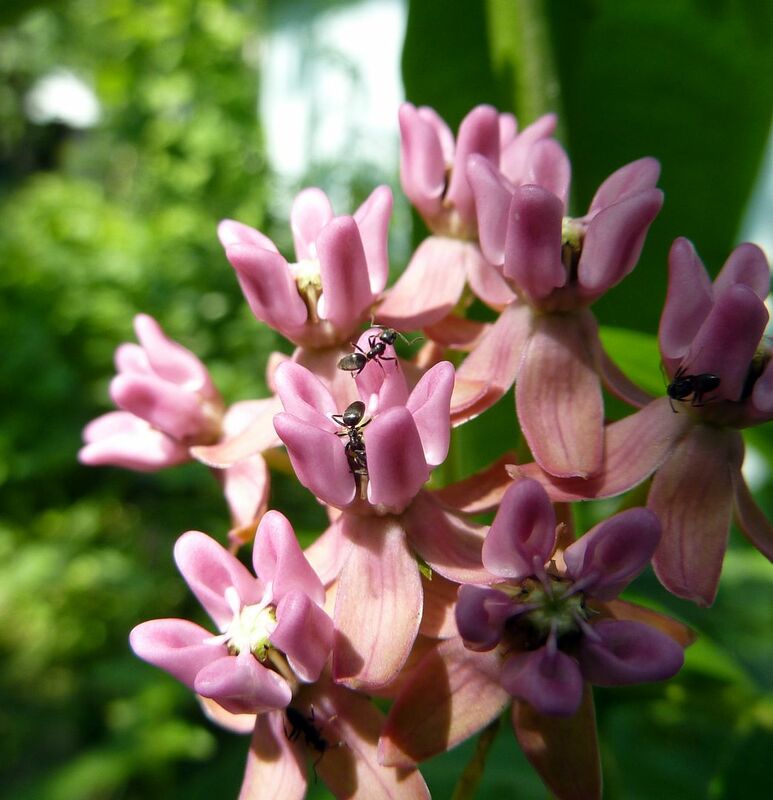 I wanted to copy his garden as much as I could but chose a different species, Asclepias incarnata, Swamp Milkweed, or Fragrant Milkweed as I like to call it. 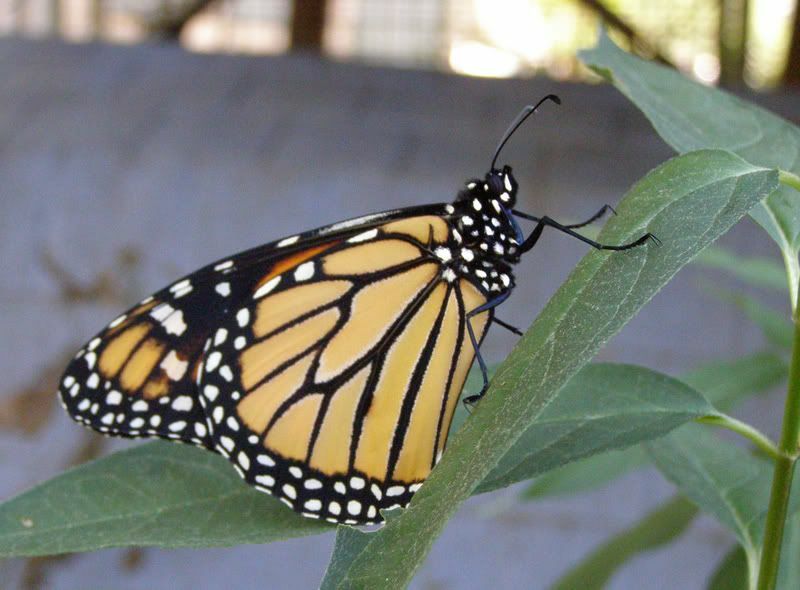 I had no idea at the time, but Monarchs favor laying their eggs on the plant. 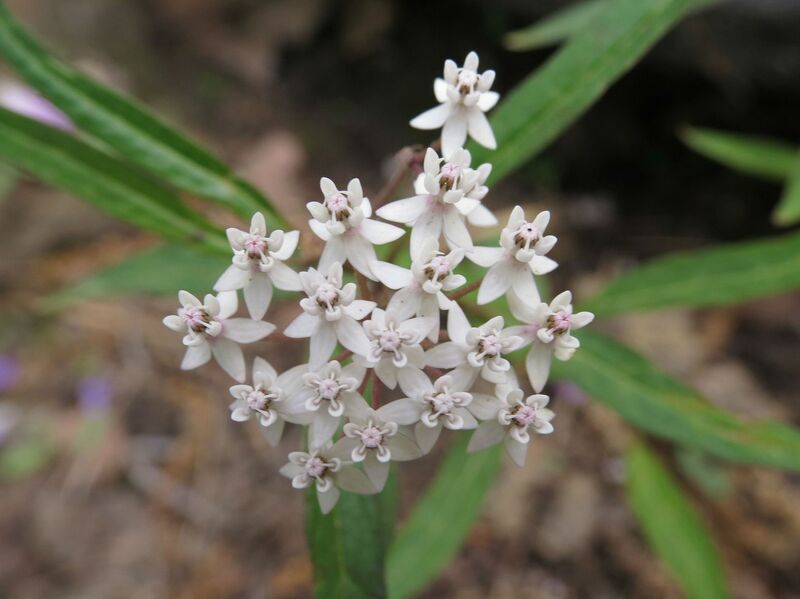 The leaves are less tough than Common and Butterfly Weed, and because it tends to grow in moist soil the humidity in the air is more favorable to insects in flight. What's more the first chrysalis I found was on the host plant, which is uncommon. Normally the caterpillars abandon the host plant to get out of the way of the next generation. 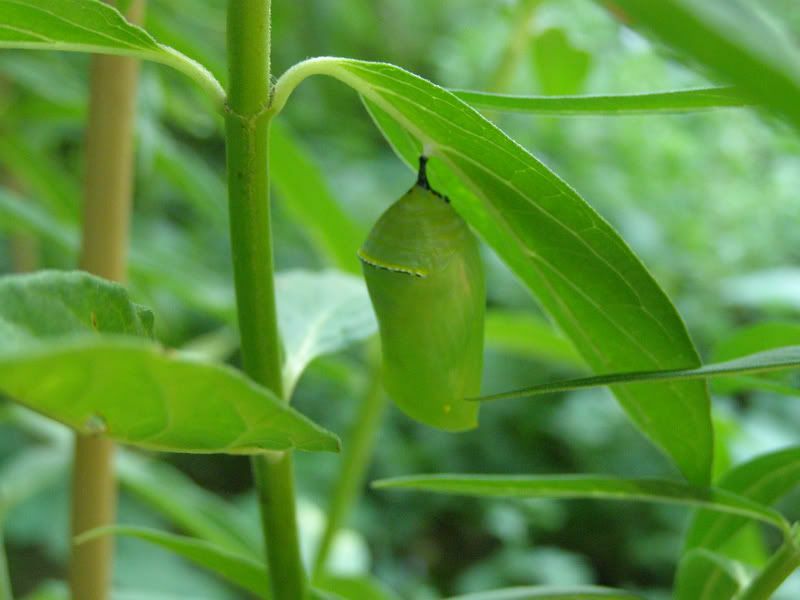 And again 10 days to the hour I first found the chrysalis I watched as it hatched into a beautiful butterfly. Over the past several years now I've started to go after some of the more obscure natives that not a lot of people grow. For example, I'm the only person I know who has a Button Bush, and I'd love to grow more of them but I just don't have the space. 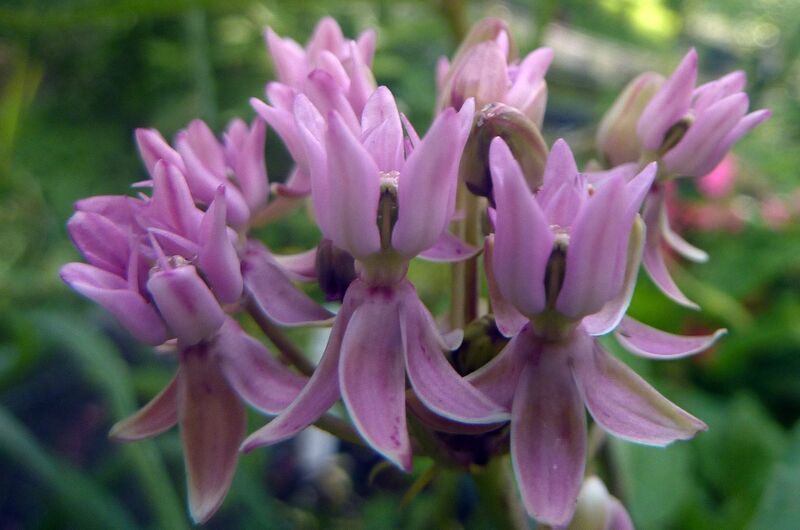 Purple Milkweed, while commercially available, doesn't seem to be grown by a lot of people. As I've discovered though, that's probably a good thing. Unlike Butterfly Weed, Swamp Milkweed, and Common Milkweed, this species requires cross pollination in order to produce viable seed. Individual plants don't produce as many flowers as other species. And tragically, the wildlife people grow milkweeds to attract target the flowers and seed heads first! You basically need to remove Monarch caterpillars, Milkweed Beetles, Milkweed Seed Bugs, Four-eyed Beetles, and keep the stems completely free of Oleander Aphids for this plant to do well! Of course it doesn't help that when it does successfully flower ants come and steal the nectar! Purple Milkweed still grows in my yard but I've not been able to get it to flower again because pests keep eating it! Rarer Still, I tried growing the true Red Milkweed, Asclepias rubra. I call it the true Red Milkweed because one of the major mail order nurseries has started calling Asclepias incarnata, Red Milkweed. They're wrong of course as is whoever came up with the common name for this species. The flowers are clearly a shade of pink! The plants I bought (and suspect were dug out of the wild) grew well the first year and flowered but have yet to emerge again. The roots are still in the soil, still slightly green or white if you cut into them, still fleshy like an ordinary rhizome but for some reason they don't produce any shoots or green growth of any kind. Very odd. If I locate them again I'll move them to an even wetter spot of the garden. I'm pretty sure they're a bog species. This is an achievement for me in that I got to photograph it flowering. I have no plans of trying to grow it again as all the sources for plants at this time I suspect might be from plant poachers. Aquatic Milkweed, Asclepias perennis. This is you can buy on the internet easy enough but it didn't do well in my yard because all the wet bog-like places are already have lots of weeds and plants growing in them. It's a small species with some of the smallest flowers in the genus too. I was hopeful that it would be successful in my garden but it wasn't. I may try planting more of this again in a true bog garden some day, but for right now, I'm just glad I was able to photograph it flowering. Discovered Flame Azaleas are semi-carnivorous. 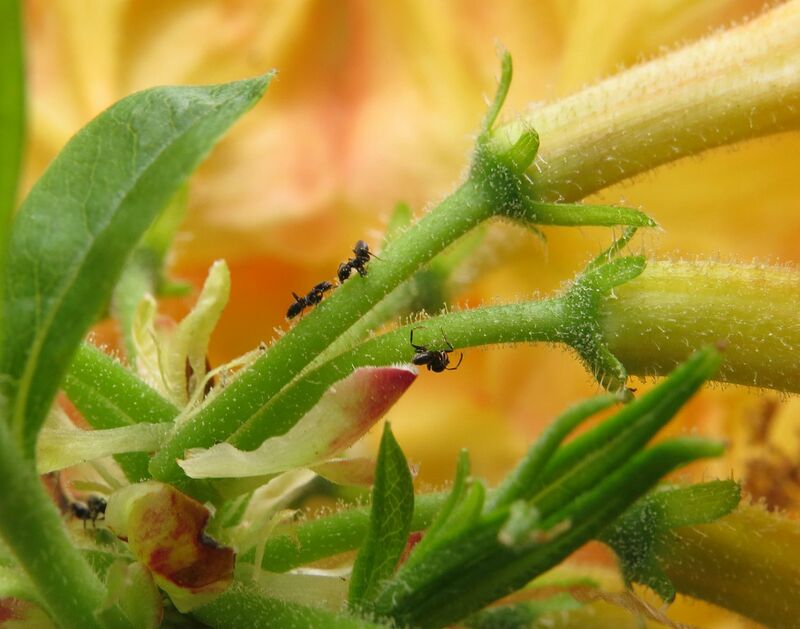 Actually they're not carnivorous at all but to protect their flowers from nectar thieves, their stems have hairs on them that dispense a type of glue to stop ants dead in their tracks. 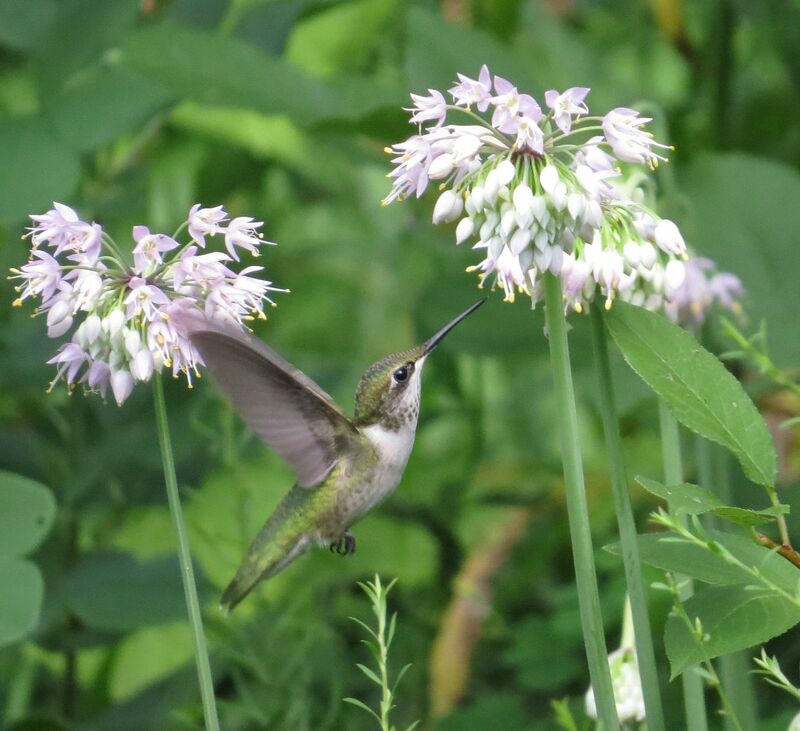 Now when the hummingbirds come to feed at the flowers they can find an added tasty treat clinging to the stem. Red Flowering Raspberry. This plant was a huge surprise. 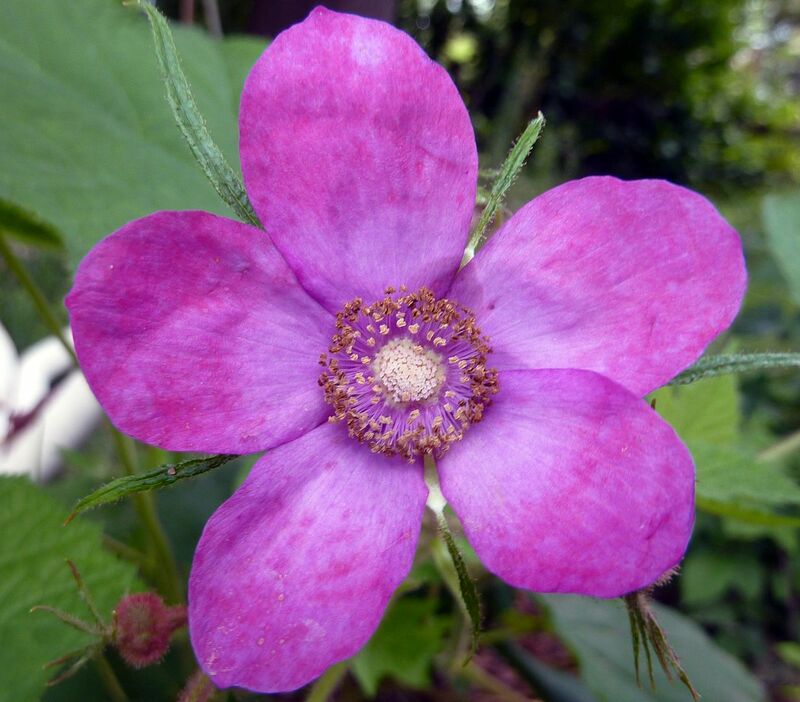 The flowers are as pretty as our native roses, though they're also a poor replacement for a rose. You can't really use them for a cut flower, and they're short lived. The stems lack any prickers and instead have a sticky feel to them. They have yet to produce fruit but I believe that's a cross pollination issue I'm hopefully fixing in the coming year. I've planted three more specimens that should flower. If they don't produce fruit then I'll likely move them some place else so I can plant things that are more productive. But man, look how pretty that flower is! Companula americana. This is a biannual I decided to try one year and it's easily my new favorite plant for dry shade. 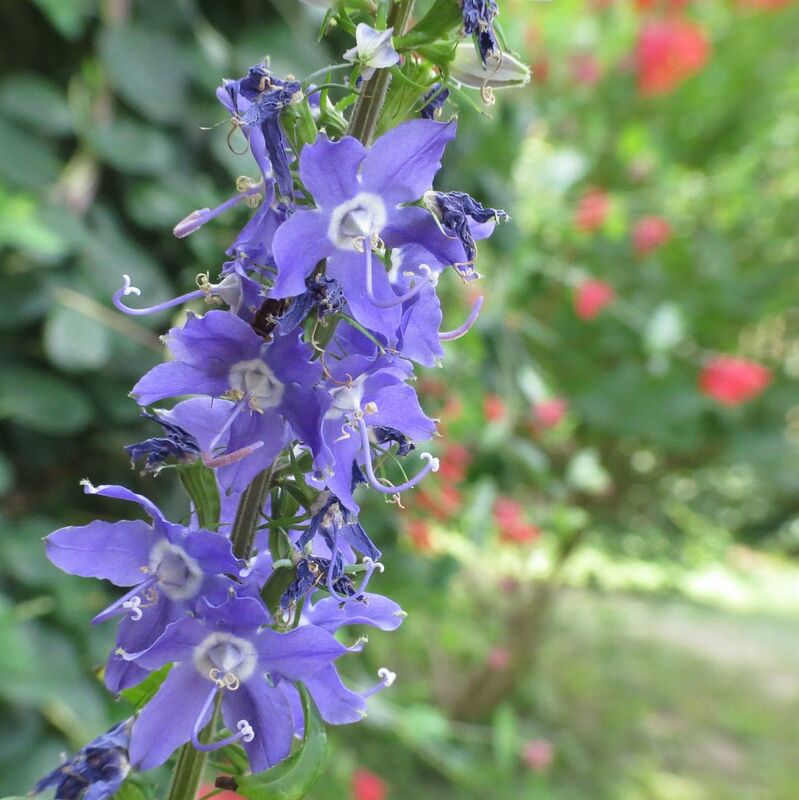 It grows in bone dry soil, in full shade conditions! The first one I got growing grew 7' tall and flowered robustly from June to frost. It got to the point where it was making bloom and buds on existing seed pods because the stem had become so overcrowded with flowers. I've never seen anything like it. The following year's plants weren't as great, but they're biannuals so they take an added year. Then on the year past we had new windows installed, and one of the workers took a rake to the garden and got rid of all my plants while cleaning up! Good to know they're easy to control if they get out of hand but I was hoping for a whole backdrop in the garden of 5 to 7' tall spires of blue flowers. Hopefully I'll get to see that happen this year because I emptied a pound of seed or two in the spot. A lot of the ephemeral plants I grow disperse their seeds with the aid of ants. 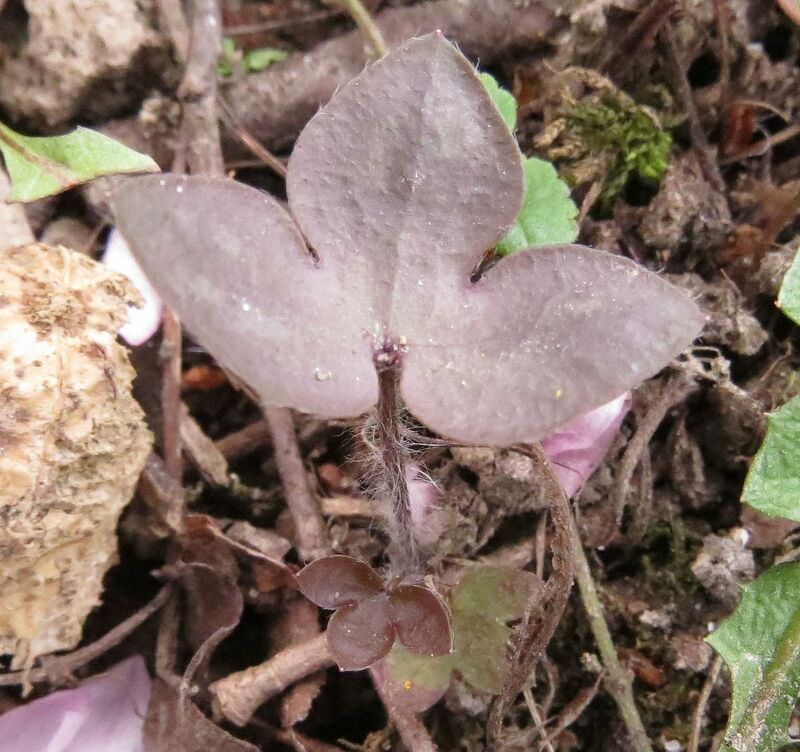 I'm overjoyed that I was able to not only grow a few species of Trilliums and other plants that have elaiosome on their seeds but also able to witness the behavior in my own backyard. And I've also realized I'm probably the only person in North America who's bothering to photograph this behavior! Very recently I was approached by a museum about using one of my photos for an exhibit. Unfortunately I'm not a professional photographer (Yet!) and don't normally save images in as high a resolution as their project required. Still, to have been asked was an honor! Roughly 40% of our native ephemeral wildflowers disperse their seeds this way and most gardening books treat the topic like a cliff note... There isn't a whole lot to tell, but I've found certain species of ants favor certain plant species and some are better about dispersing them a greater distance than other. Getting Wildflower to reproduce, and ephemerals at that! This is huge because some of these plants I buy cost $25 each, and they're not always successful! Knowing that the plant is happy enough to do what it would normally be doing in nature, in my yard, it the best compliment a plant can give you. (Or the worst if it's invasive.) 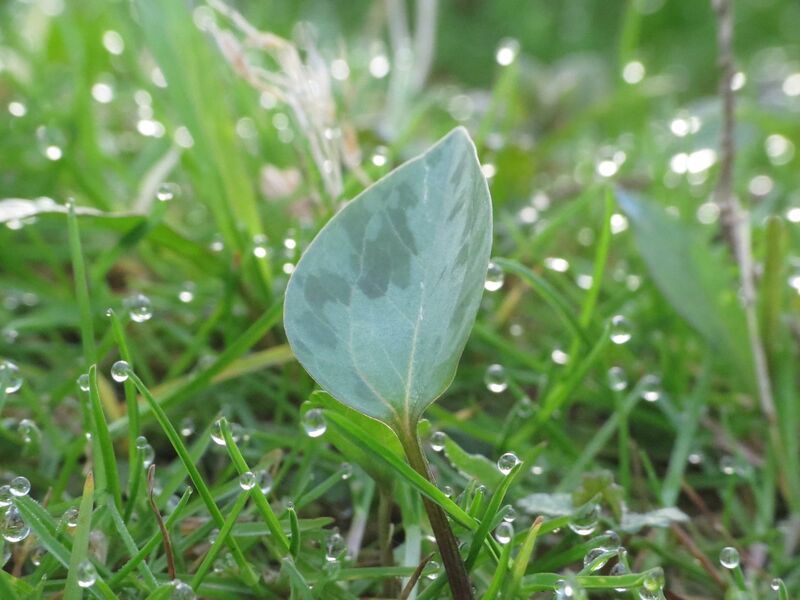 Now if my rare Trilliums would just stop reseeding in the lawn I'd be in business. 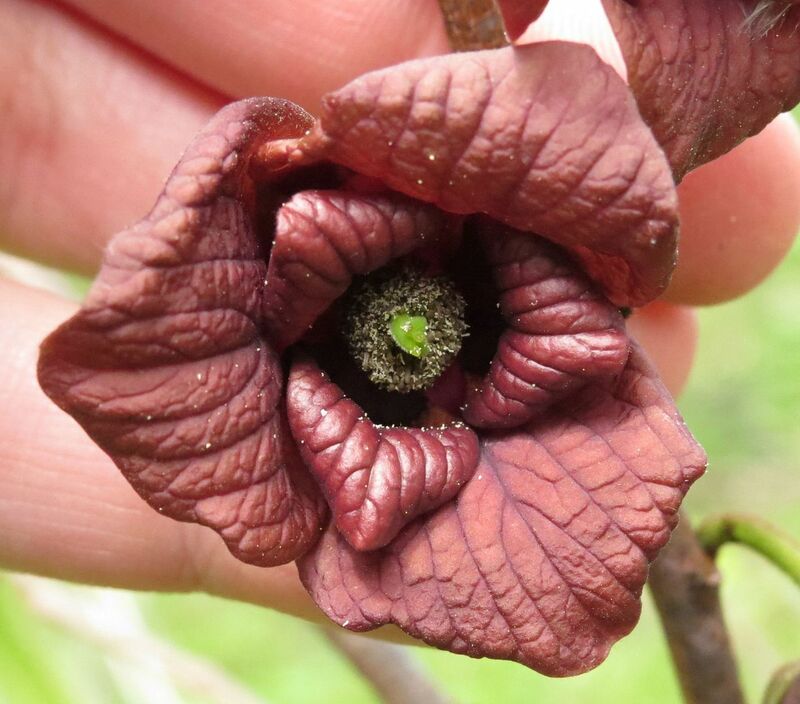 Getting my Paw Paw tree to flower. For years I'd been planting saplings of this species all over my yard and for one reason or another they just couldn't survive the winter. It's annoying! Finally I found a spot where they get enough water in the summer and don't burn up in the heat, and are sheltered in the winter enough to survive. And I immediately planted a second one right next to it. So one tree is of a flowering age, now I just need the second one so they can cross pollinate and maybe I'll get some fruit. Dutchmen's Pipe. 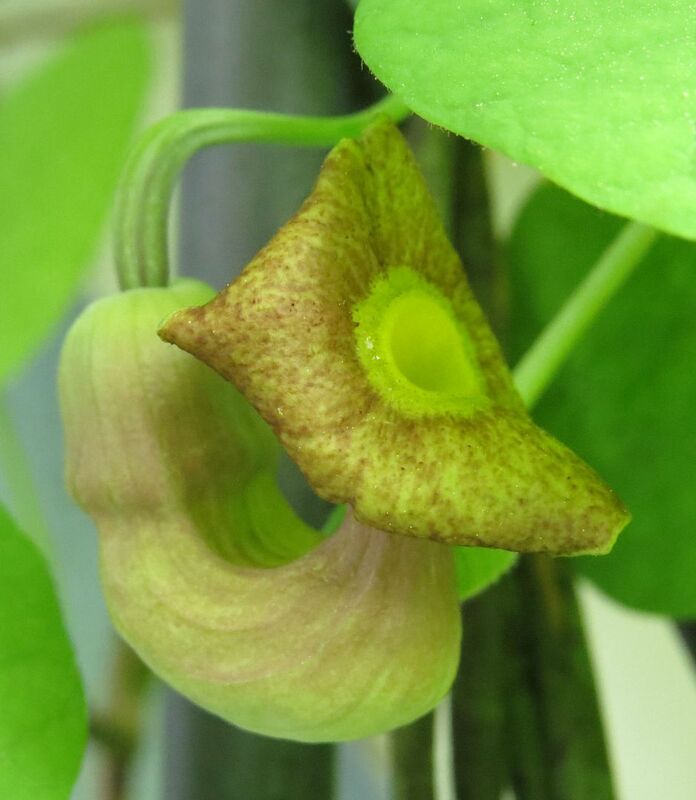 I've had this vine growing for a good 7 years at least and it finally decided to start flowering... Not the prettiest things but I had a theory that the seeds to this plant have elaiosome on the seeds so I'm eager to see if that's true. Unfortunately they seem to require cross pollination, so I won't know that until several years later when the vine's counterpart I planted finally reaches of age. I planted this as a host plant for the Pipe Vine Swallowtail and I'm still waiting for them to find it. 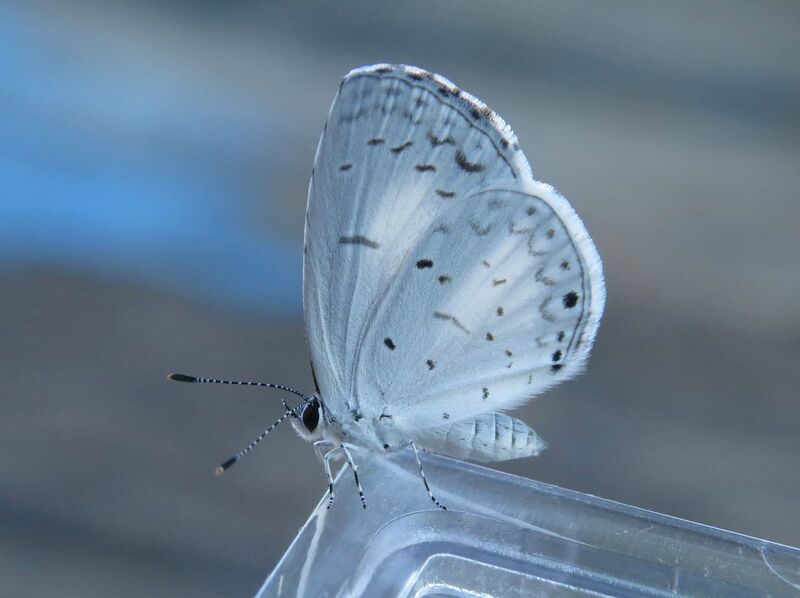 :( though this seems a common problem among butterfly gardeners. 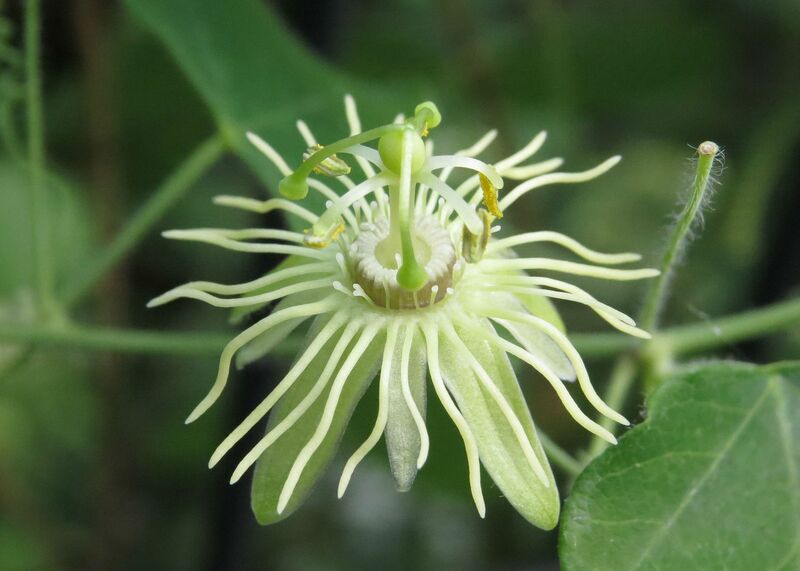 Yellow Passionflower, Passiflora lutea, is another species I'm proud to say I grow. Unfortunately it seems I don't grow enough of it. This is a plant they tell you to grow in the shade and let it grow up the stems and branches of another plant. There's nothing wrong with that, but the absolutely charming leaves, flowers, and fruit get completely lost in the foliage. I have a vine of this in my garden still, I think. But now that I've seen it growing at the Mt. Cuba Center, clearly I'm growing it wrong. It still gets lost, but they have it growing right on a fence in full sun where it thickly covers the fence almost like an ivy. It's a great little vine that doesn't get out of hand, and I'm curious to see if Fritillary Butterflies use it as a host. 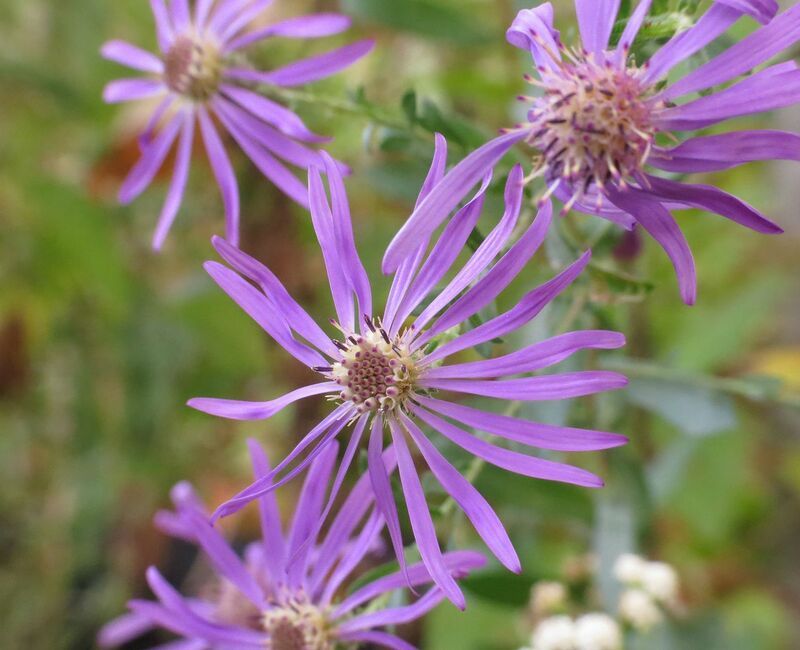 Georgia Aster, probably the last plant in temperate North America to stat blooming aside from Witch Hazel and Heathers. This is a plant I look forward to every year now. I've only been growing it for three years, it's flowered the past two. This year I collected seeds and hopefully I'll get a lot more of it to grow. The flowers are nice and large, and the purple is a great contrast of the leaves from fallen trees, which are shades of yellow, red, or brown. 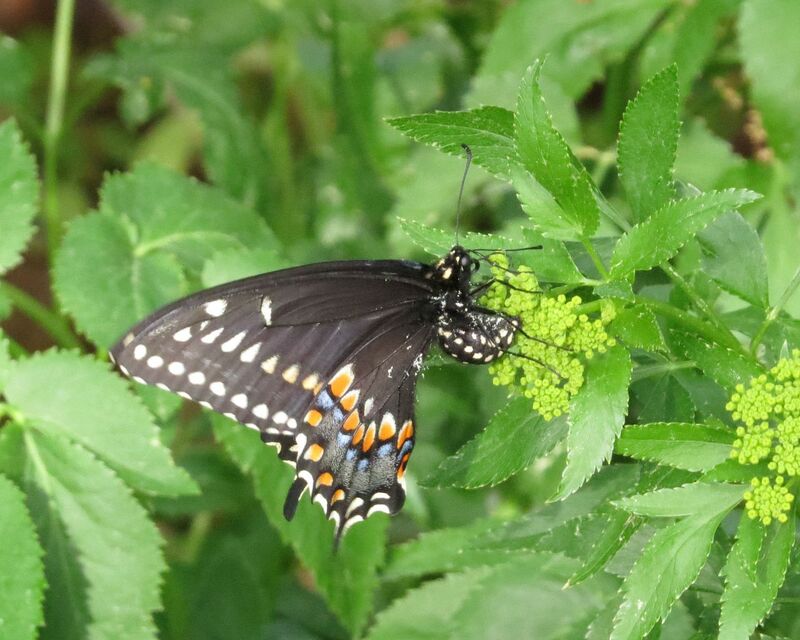 Discovering that Black Swallowtails do use Golden Alexander as a host plant was sort of a happy accident. I planted these as a host plant but later learned they rarely use it! Seems they heavily favor Parsley. But I've noticed that Golden Alexander has more foliage to offer early in the year before Parsley really gets going, so it's likely used as one of the earliest hosts then they switch over to Parsley with subsequent generations. Adding all these native plants of course had an effect on the insect life. 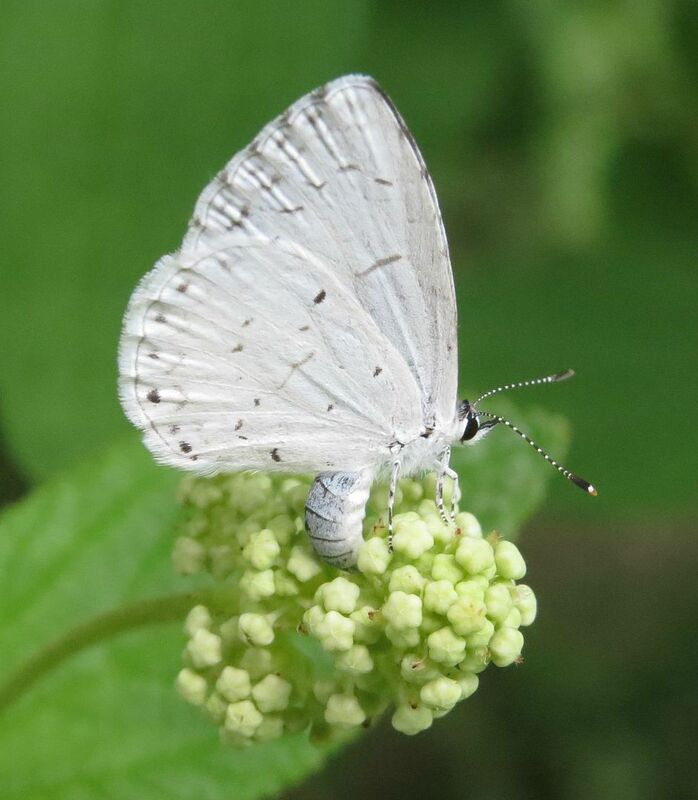 More herbivore insects means more sources of nectar, protein, and seeds. The increase in resources caused the colonies of Formica incerta and Formica pallidefulva to expand and get even larger than before. 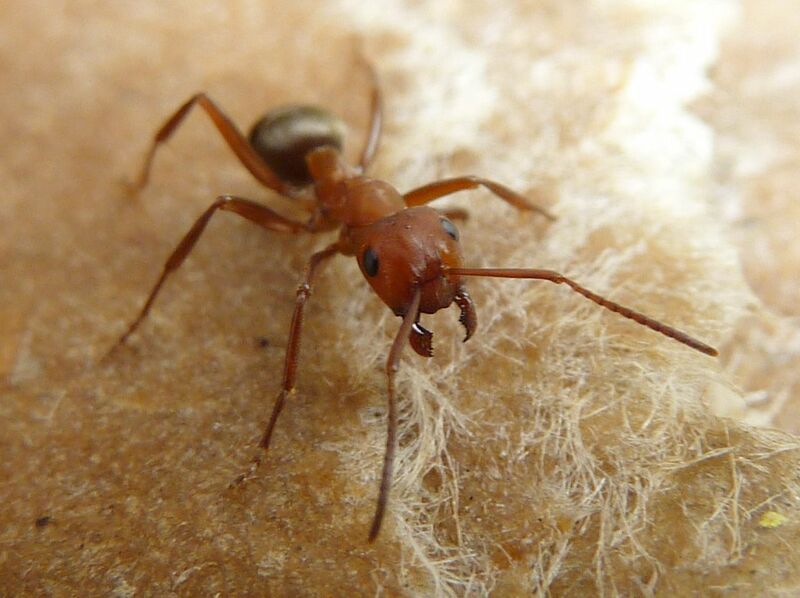 That got the attention of a slave making member of the genus, Formica pergandei. Seen above a colony of F. pergandei (bicolored) has invaded a colony of F. pallidefulva (copper tone). Formica pergandei, is one of many slave making and parasitic species in the Formica genus, the largest ant genus in North America. They are completely devoted to maintaining their Formica hosts to maintain their own colony. F. pergandei workers don't forage at all. 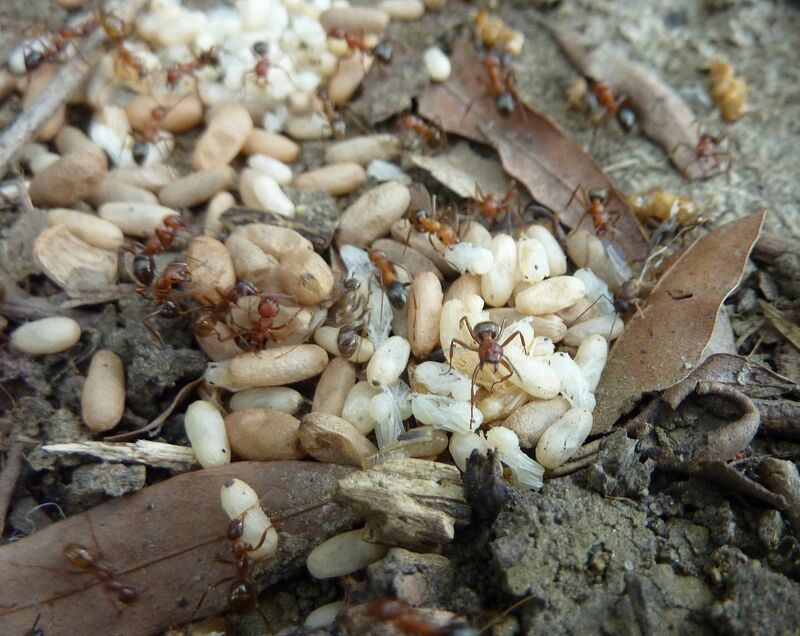 They spend their time raiding other colonies of Formica for brood and often do a complete invasion where the whole F. pergandei colony moves in and kills the host queen(s) and reproductives. They take over the current work force, and all the new workers born into their nest become part of their colony. 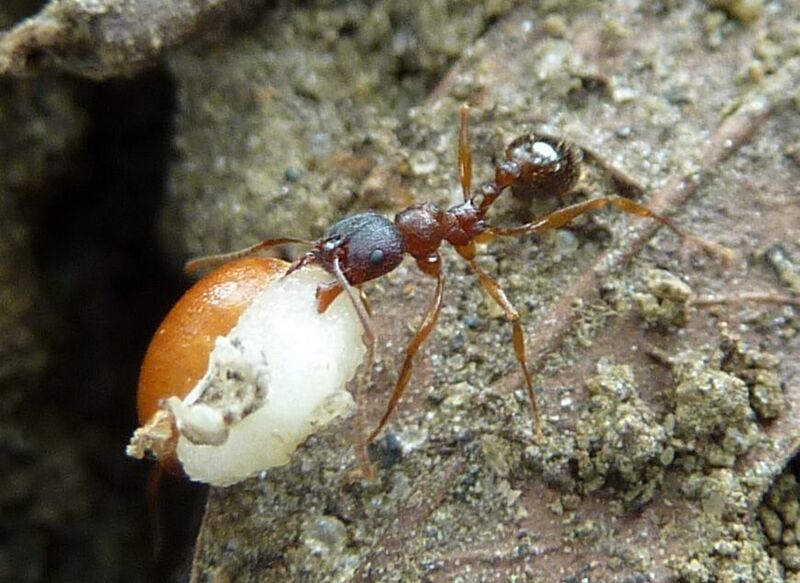 The host species do all the foraging and nest building but eventually die off, so the F. pergandei workers are always looking to invade the next nest. It's hard to say that F. pergandei wouldn't have found the colonies in my yard eventually. But in all the years I've lived here never noticed the species. They may have eventually come and moved on, as they did, but I believe the increase in resources made the F. pallidefulva and F. incerta colonies a bigger target. New Jersey Tea. This is one of those plants they're always touting for all its benefits but no one ever grows. Part of the problem is it seems to only ever be sold in plugs.... Why? It's a shrub. It should be a large or medium sized pot at least. I planted dozens of these over the years and ran over all but one of them with the lawn mower. Well I'm happy to say that after several years, it's now flowering robust enough to get honeybee attention. Is also a host plant for Spring and Summer Azures. And the caterpillars to this group of Butterflies are tended by ants for protection. And I raised the caterpillar in captivity to see what it would become. Sure enough it's an Azure. Early on in gardening I had dreams of sweeping meadows full of Lupins to see this behavior of ants, plants, and butterflies. I'm happy I already have plants doing this for me. As I've found out Lupins require full sun and basically want to grow in 80% sand. Lastly, my yard is becoming something of a hummingbird hot spot. Not year round though, we usually get one or two of them flying about intermittently over the summer, and then several of them consistently for a full week... presumably fledgling birds following their parents around.